Zillow and Trulia are set to spend $65 million and $45 million, respectively, on national consumer marketing campaigns in 2014, signaling to the industry — and Wall Street — that competition is heating up in the real estate portal space. Realtor.com operator Move Inc. also announced plans to launch its first-ever national TV ad campaign later this month to raise the portal’s visibility, but hasn’t revealed how much it expects to spend. Zillow, Trulia and realtor.com each noted in their fourth-quarter and full-year 2013 earnings calls with investors last week that their top business priority for 2014 was growing consumer audience, which they would accomplish with national marketing campaigns. While Zillow’s heavy 2013 ad spend of close to $40 million last year contributed to a net loss of $12.5 million for the year, it appears to have helped the portal pull away from the pack over the course of the year. Zillow grew its Web market share from 9.17 percent of all real estate-related traffic from desktop computers in January 2013 to 15.71 percent last month, according to Experian Marketing Services data. Trulia captured 8.31 percent and realtor.com captured 7.21 percent, Experian data showed. 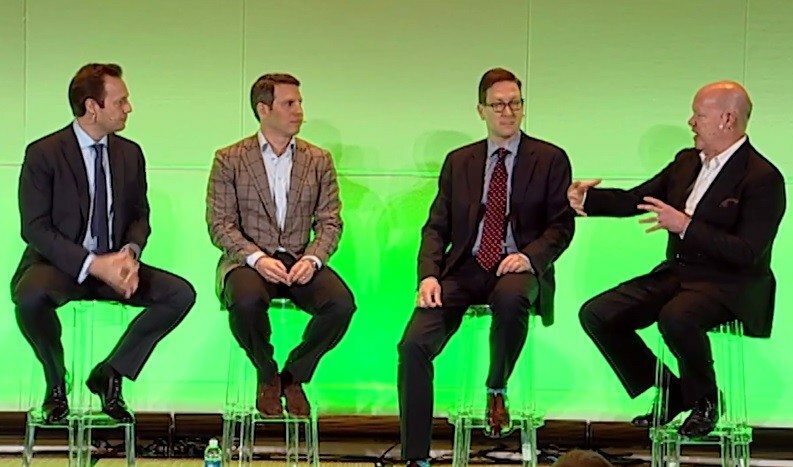 A recognition of Zillow’s consumer mindshare breakaway in 2013 may have spurred Trulia and realtor.com to make consumer awareness a bigger priority in 2014. The portals and their networked sites are real estate’s most popular online destinations, capturing approximately 40 percent of all real estate traffic from desktop computers in January. 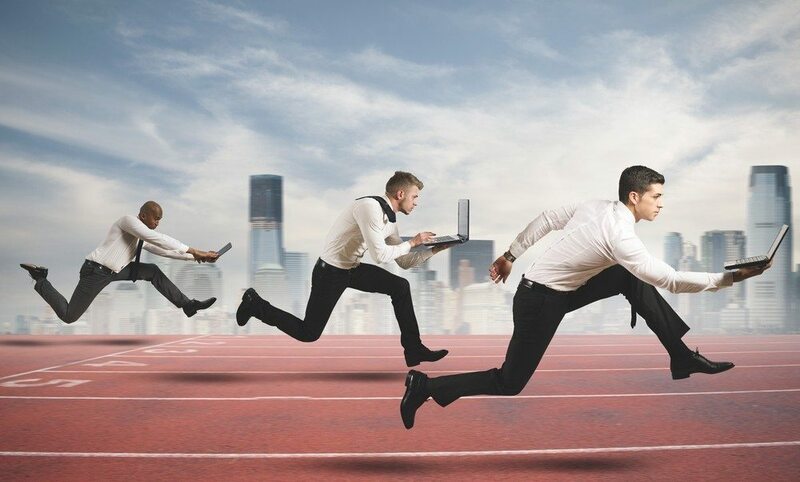 Each company was careful to note that their 2014 marketing campaigns will target “transaction-ready” consumers, anticipating any concerns by investors — and agents and brokers — that the quality and dollar value of the leads the portals provide to real estate professionals could otherwise be diluted. Last year, Zillow became the first portal to launch a national TV campaign with its “Find Your Way Home” initiative. To help justify its $40 million spend on the campaign, Zillow CEO Spencer Rascoff preached that “advertising follows audience” to investors on earnings calls throughout the year. Zillow launched its national TV ad in May. Zillow’s first national TV ad launched in May and starting airing again in 2014 a few weeks ago. Zillow plans to spend $65 million on its 2014 campaign, which will include TV, radio and online advertising, Rascoff said. New ad content will be rolled out in the coming months, he said. Rascoff said the increase in spending over the 2013 campaign was spurred by year-over-year overall traffic growth of nearly 60 percent, an 80 percent increase in home-shopper traffic, and a 70 percent boost in contacts provided to agents. “In our quest to become a household name, the time is right for us now to press our advantage and further elevate our brand, and extend our category lead,” Rascoff told investors on last week’s earnings call. 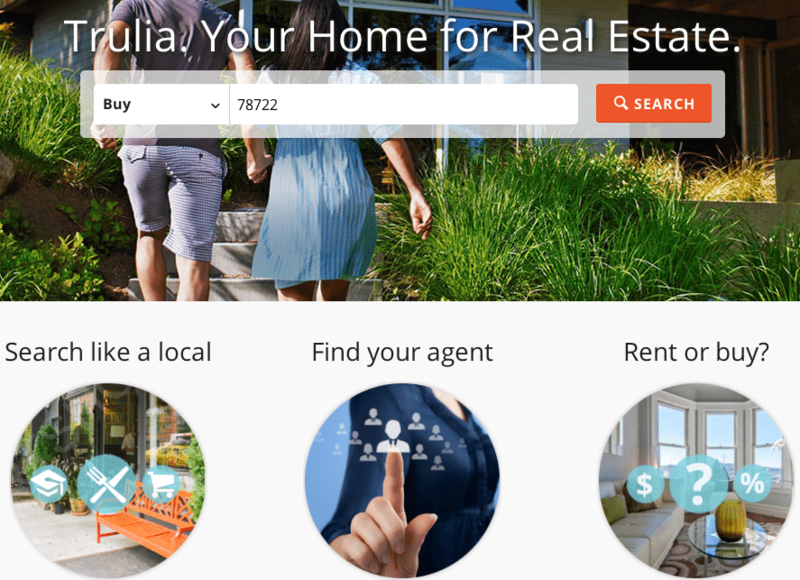 Trulia’s $45 million marketing push will be its first national campaign. Scheduled to launch sometime in late March, it will include TV, radio, online, radio and mobile advertising. The company recently announced the appointment of Silicon Valley marketing vet Kira Wampler as its first chief marketing officer to help drive the campaign. It’s not clear exactly how Trulia will differentiate itself from Zillow, but Trulia spokesman Ken Shuman provided some hints. As for the campaign’s goals: “We will be looking for unique visitors to grow, but even more importantly we will be looking at return visits, leads and overall subscriber growth,” Shuman said. Move CEO Steve Berkowitz announced during Move’s earnings call last week that it would more than double its consumer marketing spend on realtor.com in 2014, but didn’t reveal a number. “The most important thing for us to focus on again is building that audience and continuing to build that audience and getting people aware of what we do,” Berkowitz told investors. Berkowitz pointed investors to two TV spots, which he said are set to air later this month in the brand’s first-ever national TV campaign. One of realtor.com’s national TV spots set to air in late February. Realtor.com’s 2014 consumer campaign will continue the “Find it First” marketing initiative it launched in March last year to highlight the accuracy and freshness of the portal’s listings, Berkowitz said. It will include national TV and digital spots, a Move spokeswoman told Inman News. Berkowitz also emphasized realtor.com’s inclusion in the National Association of Realtors’ ongoing consumer national ad campaign, “Market Momentum,” that launched last fall. One of the two National Association of Realtor TV spots that includes realtor.com branding. NAR also promotes realtor.com on radio ads in the campaign, NAR spokeswoman Stephanie Singer told Inman News. NAR’s 2014 campaign is set to include 22,000 national spots across TV and radio, according to NAR. Singer says NAR has promoted realtor.com frequently in a variety of ways to consumers through its national advertising over the years. On Wall Street, the big marketing campaigns have some investors wondering if Zillow and Trulia are beginning a long-term spending battle to capture consumers’ attention that will dampen profits, said Bradley Safalow, founder and CEO of stock analysis firm PAA Research LLC. Safalow, who covers the real estate portals, said the increased competition for consumers might also indicate that the portal space is maturing. For example, Zillow reported it drew 70 million unique visitors in January and Trulia reported an average of 35.3 million unique visitors in the fourth quarter. If approximately 5 million homes are typically sold in the U.S. each year — representing about 10 million transaction sides — then maybe there’s not much more traffic to acquire, Safalow said. After announcing 2013 results, Zillow, Trulia and Move all saw their share prices dip. A portion of the drop had to do with a realization by some investors that Zillow may not be quite the breakaway leader in the space they had thought, and that it has a hungry competitor nipping at its heels, Safalow and Zachary Prensky, principal of the stock analysis firm Little Bear Research LLC, told Inman News. With Trulia’s marketing announcement, there’s a “realization among investors that Zillow’s no longer the king of the jungle,” Prensky said. Prensky also noted that the competition might indicate that the portal space is maturing and that an investment in Zillow or Trulia, which have experienced skyrocketing growth up until this point, is no longer one with massive headroom to accommodate the perceived growth potential that spurs high valuations and rising share prices.